Furnace Engineering can supply you with many different thermocouple probes for kiln use , but the most common types used in high temperature Pottery kilns are the K Type , N Type , and the R Type. The high temperature Platinum/ Rhodium are of the open bracket type to keep the junction onto the cable as cool as possible to avoid temperature variation . Probes are available with ceramic quartz and stainless steel sheath. Replacement ceramic sheath and insulators are available . 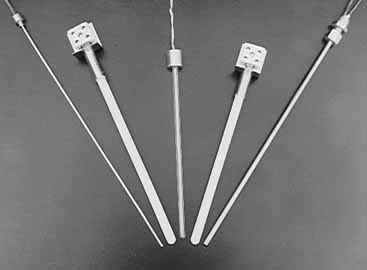 Thermocouple types : K , J , T , N and E.
Probe Diameters : from 1.0mm to 10.8 mm. Any length stainless steel sheath (grade 600) is available. DO NOT TAKE FOR GRANTED THAT RED IS POSITIVE AND BLACK NEGATIVE. It is VERY important that the right cable (COMPENSATING CABLE) is used between the controller and the thermocouple probe. 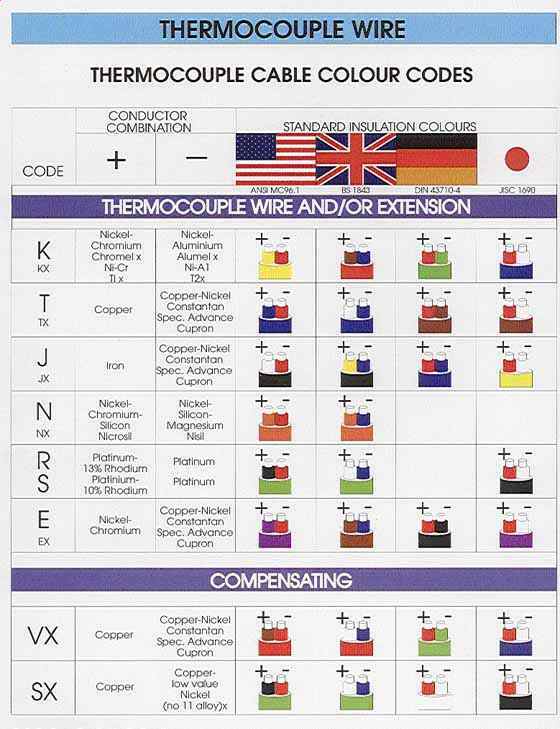 Every different type of thermocouple has its own compensating cable. If not the correct compensating cable is used large temperature differences will occur. Keep the compensating cable in the kiln away from high voltage cables. Of the same importance is the connection of the compensating cable, there is only ONE correct way to connect the cable on to the probe and on to the controller. Ask the supplier of the thermocouple or compensating cable which color is the POSITIVE and which one the NEGATIVE. All cables have color codes which are depending on the country of manufacturing. All Cables are available from Furnace Engineering.